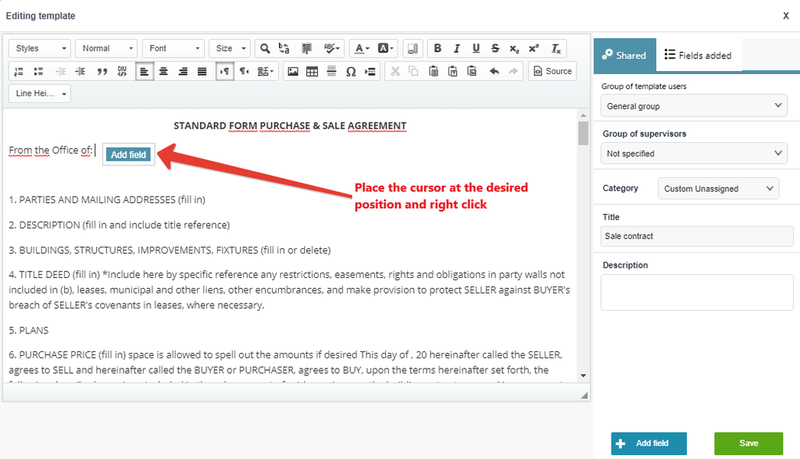 You can use the system templates to generate documents right in the CRM. 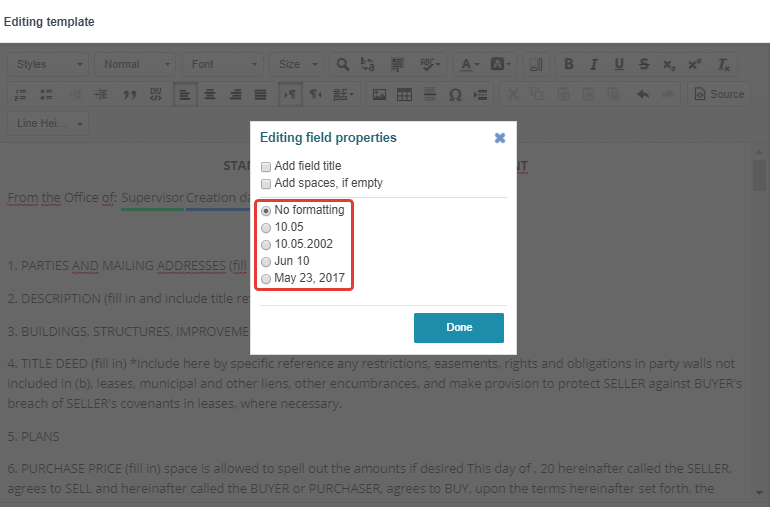 Template creation and editing is only permitted to your CRM administrator and users having access to the relevant fields in the CRM. Go to Main menu — Settings — Templates and add administrators and supervisors for templates and users, who will have access to templates (see Access settings). 1. Enter template name, description and category, if necessary. 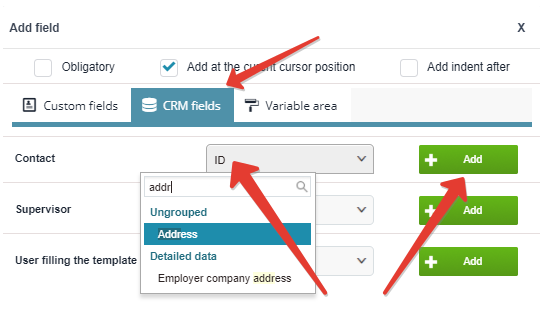 Then link it to the CRM: if the template contains fields from any profile in the CRM — tick all the relevant fields in the drop-down list. For example, the template for a real estate commercial offer should be associated to objects, a rental agreement template should be connected with deals (it should also comprise fields from contacts and objects associated with this deal), a property viewing form would normally be associated with activity. 2. Select users, who will have the access to templates, and users responsible for templates (these employees will access and control all the templates of their colleagues). 3. Place all the necessary fields to the relevant positions in the body of the template. Drag the cursor to the relevant line and right click on the mouse. 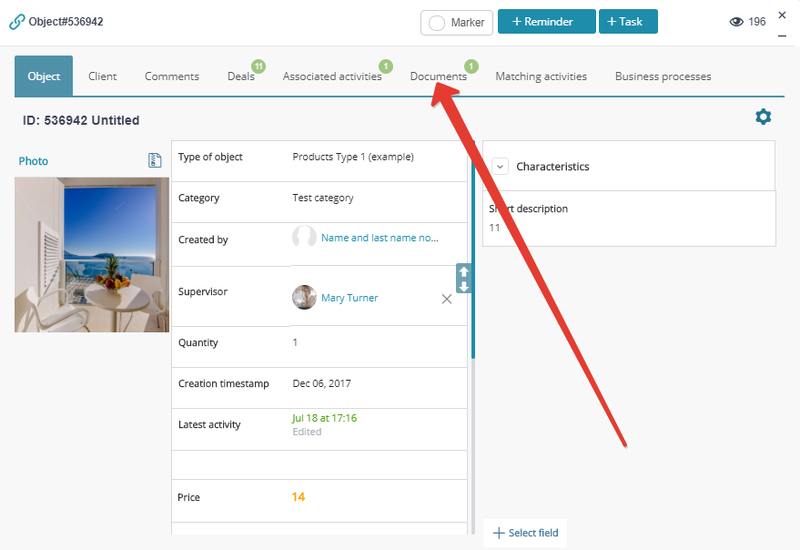 Click "Add field": a new page will open. 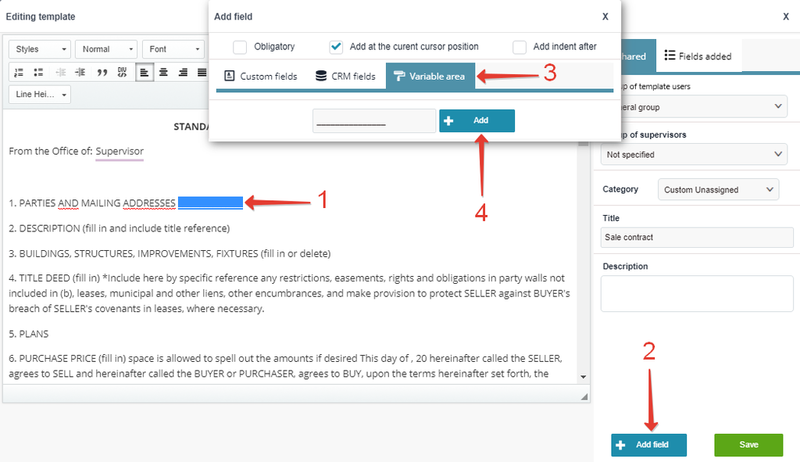 Select "CRM", then associate the correspondent CRM fields or add fields with no link to the CRM. Leave a note in the document template. Please note: any HTML editing should be applied to the code only (not to the CSS). 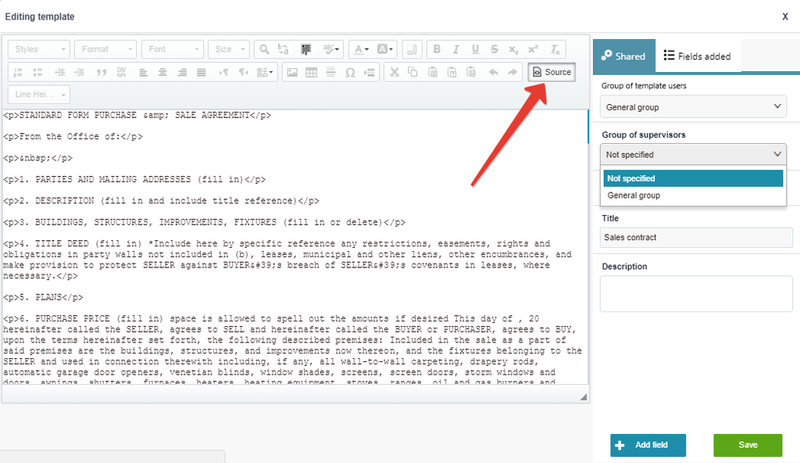 Then go back to viewing mode and associate all the necessary fields to the relevant areas in the template. Image output parameters are available in output tag settings for fields of type "Photo".